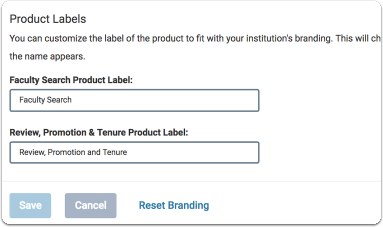 Institutional Administrators for Faculty Search and/or Review, Promotion & Tenure can upload a logo and set a custom color to match the branding of their institution. 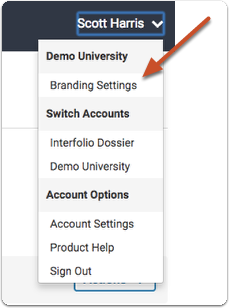 This article explains how to set the custom branding directly from the Account Dashboard. 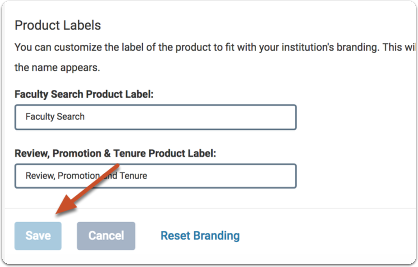 Changes made to branding from the Account Dashboard will be applied to Faculty Search, Review, Promotion & Tenure, and Faculty180. 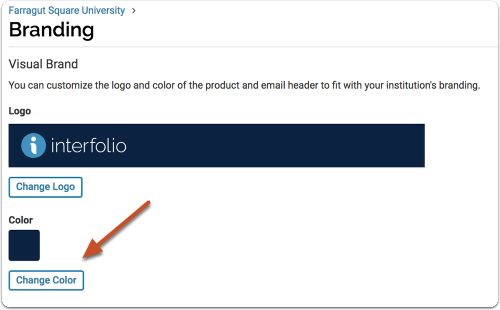 Note that the logo you set here will not appear on Faculty Search landing pages. 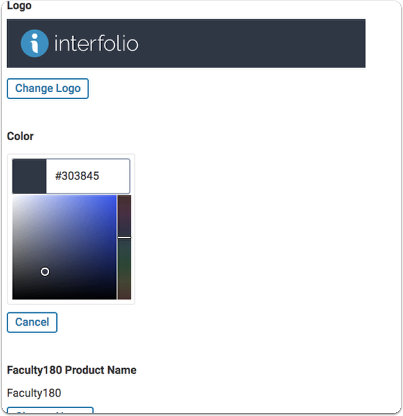 Those logos are set from the Administration page of a given unit. 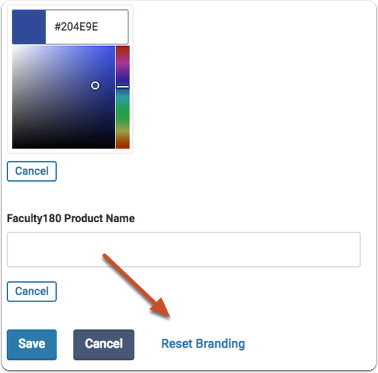 The following recommendations will ensure your logo is legible. The image below is a transparent (png) file, set with a blue background. 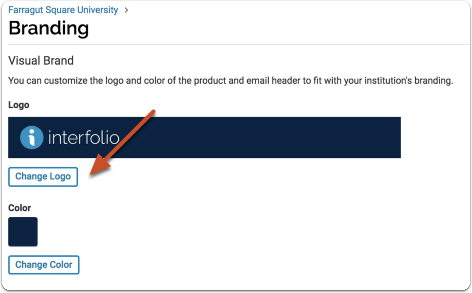 The color you choose will appear in the header and buttons of your site as well as on emails sent from the program.